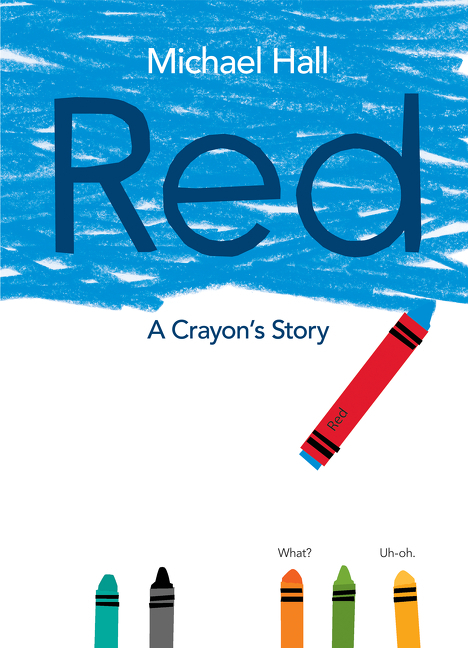 The red crayon tries to draw red things, but no matter what, they come out wrong. They come out blue. One of my favorite details is the red crayon’s grandparents. One is “Silver”, the other is “Gray”. They are little stubs of crayon with the name on their label barely showing— they are old and well worn! The illustrations, like the story, appear simple and straightforward. But there are a lot of nuances and layers to them. 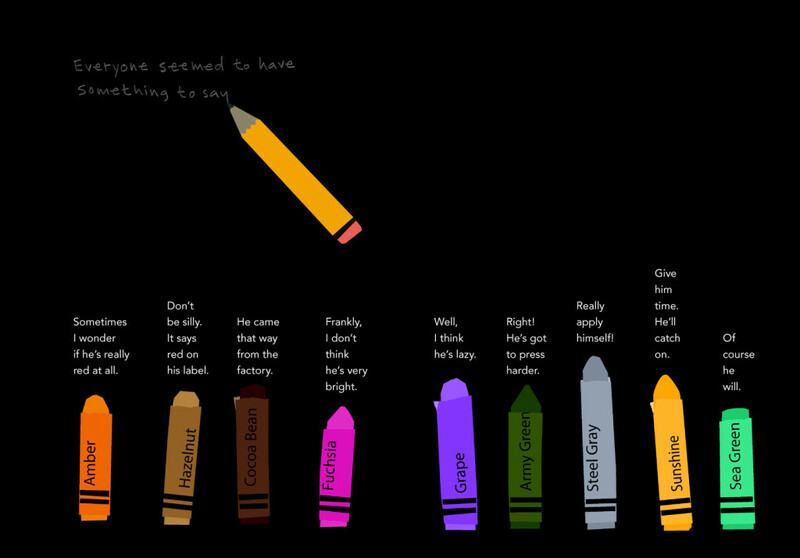 The crayons’ tops are all different shapes and their labels torn in various ways. 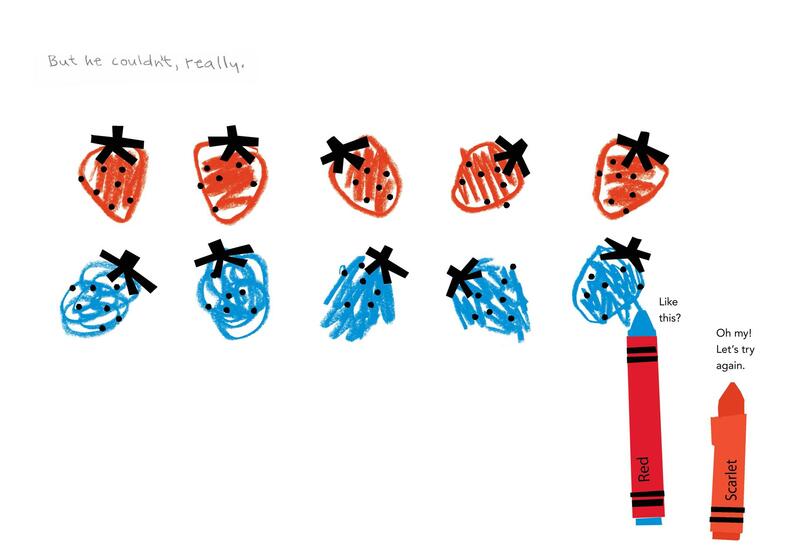 In the end, the Berry crayon asks the red crayon (who now sports a snipped label because scissors thought his label might be too tight, and a band of masking tape which was added to help hold him together— the tape was worried that he might be broken inside) to draw a blue ocean for her boat. When it works, the “Red” crayon and all the others realize that he has found his true calling and can finally be himself. This is a color book—- talking about mixing colors, and at the same time, it’s a book about feelings— trying to fit in and be something that you’re not. And because the other crayons are very supportive, it’s also a book about friendship and a caring community. I think when a picture book can be so deceptively simple, yet have so many layers, it’s elevated itself to above average. Kids will love the funny crayon personalties and relate to the red crayon trying to find his true color, and they’ll learn a bit about color mixing to boot! 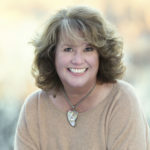 Jill’s book give away winner is—- doot, da, doooooooo—– Stephanie Lowden! Congrats, Stephanie, please contact Jill through her website at www.jillesbaum.com. crayon, Jennifer Black Reinhardt, michael hall, red. Bookmark. This is a delightful story. I love the layering and support! Thank you, Dorothy, glad you like it, too! Great fun read for children and parents. I loved the quiet ‘messages’ about labels don’t matter it’s what’s inside that counts, and about expectations and trying to fit in. All while telling a story with fun crayon characters = very relatable to children. Thanks for posting about it. I read it as soon as I arrived at the library today . Hi Liz, I’m so glad you enjoyed the book! Thanks for taking the time to visit and comment! I have to get my hands on this. Congratulations to Stephanie . That’s great, Bridget! Thank you!!! Oh, how precious! Thanks for sharing this book with us! Hope you like it, Kristi— thanks for visiting! Wonderful story. I don’t think I caught the short gray and silver the first 5 times I read it! I go back and look. Hi Susan, I was very impressed that Michael was able to infuse so much character into inanimate, graphic, crayons! 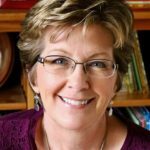 That book sounds wonderful~I’d love to read it to my 1st graders! Yes, I think they’d love it, Tina! So much cleverness in this book that I had to take it home with me. My favorite thing is how every crayon has its own distinct personality. Yes— simple, but full of character. Hard to do I suppose? I read this story with my kids last week. So much to admire here! It’s a simple story–yet the message is deep, and the illustrations are thought-provoking and nuanced. And the message of being true to oneself could be applied in many situations, to help kids relate to many kinds of “different”. Heather, I’m so happy that you and your kids enjoyed this book. Thank you so much for visiting our blog and posting your comment!